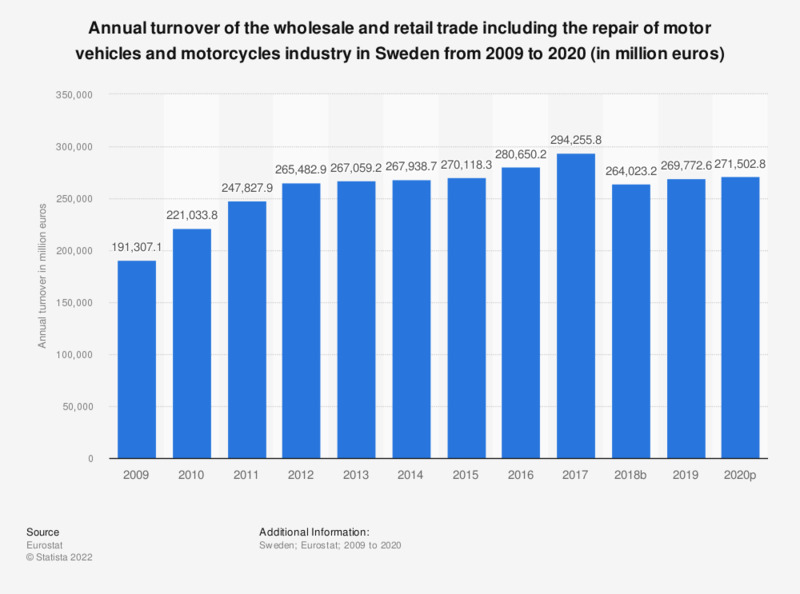 This statistic shows the annual turnover of the wholesale and retail trade including the repair of motor vehicles industry in Sweden from 2008 to 2015. In 2015, the wholesale and retail trade industry produced a turnover of approximately 270.1 billion euros. Statistics on "Retail industry in Sweden"